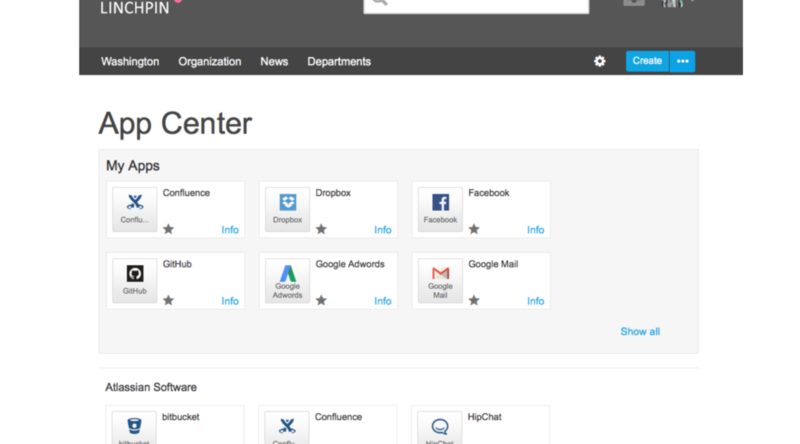 Linchpin Enterprise News is an extension for Confluence and the Confluence-based intranet suite Linchpin that complements the system with professional features for broadcasting internal company news. Our development team has just released version 2.4 on the Atlassian Marketplace. 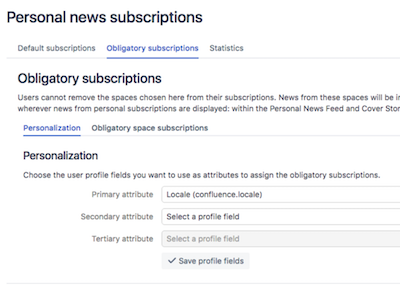 The newest features include an improved overview of news releases, increased visibility for personal news subscriptions, personalized obligatory subscriptions, and performance enhancements to the cover stories macro. 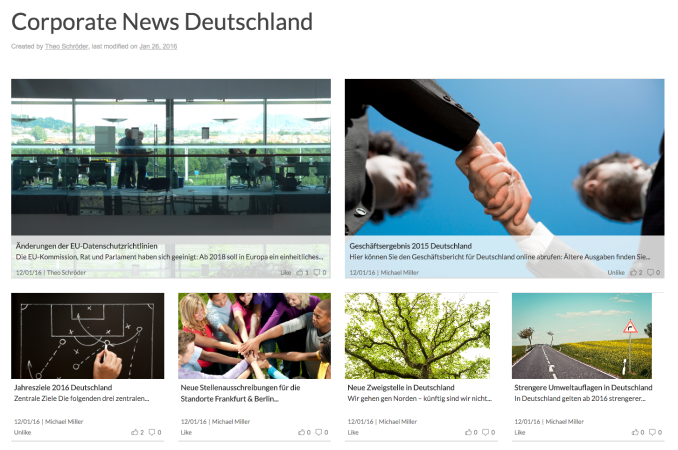 News is an integral part of any intranet. This requirement is generally very important for all corporations who carry out evaluations concerning intranets. Intranets are there to keep employees informed about current issues in a timely manner. But news is not just news. There are many different ways to tackle a news concept, depending on the size of the company, company culture, and capacity within the communications department. 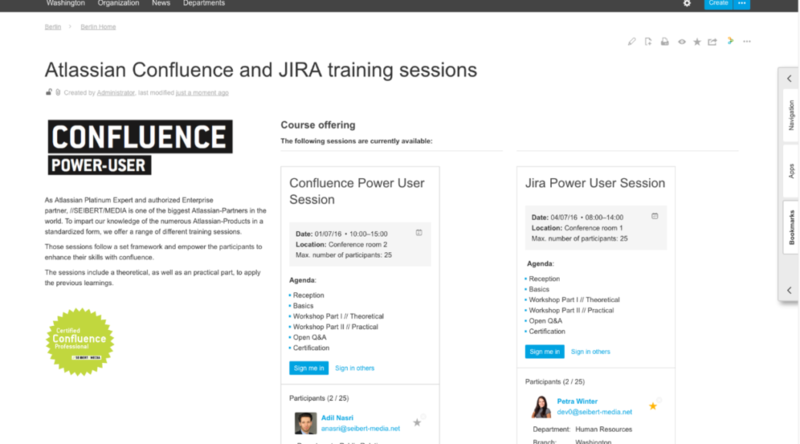 We continue to intensively develop our Confluence add-on ‘Microblogging for Confluence’. Version 2.3 has just been released, which implemented one particularly helpful feature: Users can now subscribe to a daily digest for selected spaces. Our EasyEvents add-on for Confluence, with its intuitive interface, allows all employees to initiate and organize events with ease. A macro is integrated into all event pages, and allows participants to RSVP (or unsubscribe) with just one click. The new EasyEvents version 1.4 is now available in the Atlassian Marketplace. In addition to bug fixes, we have added new functionality for significantly more flexibility. It is important for companies to personalize their intranet to improve efficiency and performance in the workplace. When done well, an tailored intranet can become an indispensable tool, helping employees complete their tasks with ease. So that Confluence can better meet a company’s requirements for their intranet, all the tools that the employees need must be clearly available from their starting page. This minimizes context switching and maximizes productivity.